The presuppositions of evolutionists can be startling at times. They proclaim "EvolutionDidIt", even when there is no mechanism, evidence or credibility for the claims. For example, take the honeybee. The more we learn, the more amazing it is. The navigation becomes more and more complex the more we learn, all the way down to the genetic level. Since humans share some of the same genetic material, they invoke the viciously circular reasoning of homology and claim that "it's deeply conserved in evolution". Their communication "waggle dance" is not really understood, but still, "It's evolution wot done it!" It makes far more sense that the evidence indicates the Creator, who used similar elements and mechanisms for similar purposes in similar organisms. Designers do that kind of thing. Ask an engineer. The uncanny ability of honeybees to remember and communicate the location of sweet nectar has been the subject of ongoing investigations—both navigational and genetic. “The more we find out how honeybees make their way around the landscape, the more awed we feel at the elegant way they solve very complicated problems of navigation that would floor most people—and then communicate them to other bees,” says Professor Mandyam Srinivasan of the Queensland Brain Institute. 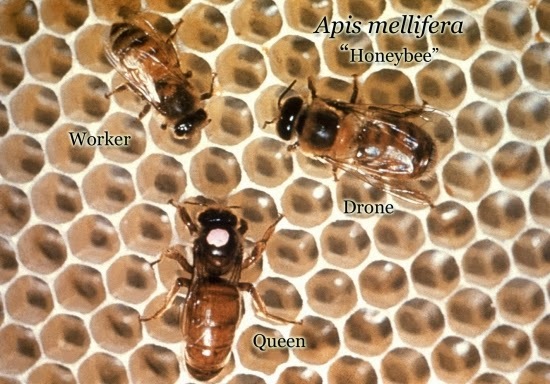 Bee hive yourself, and go read the rest of "Honeybees Navigate with a Map of Polarized Light".